To the best of my knowledge, special units like those mentioned above never divulge operational procedures. These are typically classified information because otherwise every mission would be easily compromised by the enemy. So why on earth would they allow somebody to teach the entire curriculum of their hand-to-hand combat system to the public at large? Sure, when asked they might answer certain questions about certain topics but giving you an entire, detailed handbook on how they perform combatives during missions? I doubt it. Nor can they divulge details of their missions as these are also classified. If I’m not mistaking, the penalties of spreading such information are pretty high. So why would they let civilians and (in this age of information being readily available worldwide the second it hits the internet) therefor also their enemies, know all the details of how they fight? The only thing I do see making sense is teaching declassified systems. Systems that were used once upon a time by these units but are no longer current practice. Or they are the systems somebody taught to such units as a guest instructor, which they then modified to suit their operational needs. In either case, what is commercially available is not by default exactly what those units are doing now. I could be wrong about this, I readily admit that. But when talking to operators and friends of mine in the military, they suggest I’m not. Regardless, it’s one piece of the puzzle. A while ago, I asked a bunch of former and active military personnel how many hours they trained hand-to-hand combat during their service. In all fairness, some of the feedback I got was about how soldiers train on their own in both combatives as well as shooting. But actual scheduled training time? Without exception, the total number of hours was extremely low. For some, there was only a few hours of annual training. Others had weekly training but only a couple hours. For pretty much all of them, the training of other skills took up way, way more time. Ok, back to our hand to hand training. How do I say this? Non-existent? It was generally looked down upon in the office for Officers to participate in things like combatives. In other words: even in this specialized part of basic training was next to no room for hand-to-hand combat. I guess it was two or three hours out of three months with little sleep. In an average 60-80 hour work week? Combatives get 2 hours per week. Flat. About 30m per day on weapons maintenance, manipulation and dry fire; with 1-2 hours per week live fire (mostly done at my own expense…) PT is about 2 hours per day, split into 1 hour sessions, 3 on 1 off 2 on one off. Navigation gets about 4 hours per week. Special movement skills (skiing/arctic traverse, parachuting, helo assaults, rappeling or mountain) get about 20 per week. Medical interventions get 2-6 hours per week. Common tasks (driver/convoy training, VHF coms, professional development/administrative) 2-6 hours per week. Specialty job skills (for me, this would be signals intercept and analysis stuff or call for fire/precision rifle deployment) get 10-20 hours. The rest is eaten up in various formalities, mass updates to policies/regulations/operating procedures, and the endless cycle of planning and risk management work to be able to pull off any of the above. I repeat: my friend is one of the deadliest soldiers I know (and I’ve met a lot…) yet he spends no more than two hours a week on combatives. So why on earth would anyone consider him a hand-to-hand-combat specialist? He doesn’t specialize in hand-to-hand combat. He specializes in being an insanely effective and deadly professional soldier. Hand-to-hand combat systems are only a very small part of that job description. Mind you, I’d bet on him against the vast majority of street thugs, criminals and brawlers out there. But primarily because of his mind-set, experience and professionalism. Not because the combatives techniques he learned in the military are superior to all other systems. I feel it is only logical to conclude that the military doesn’t specialize in delivering hand-to-hand combat specialists. Following that, I believe it is also logical to assume they are not the best source for your civilian self-defense needs, even if there were such a thing as “best”. One of the recurring marketing arguments for these books and videos is that they are “combat proven” and therefor supremely effective. The reasoning is that if these techniques are used in gruesome missions during a war, then they must be the best thing since sliced bread for self-defense. There are three problems with this claim: context is still king, teamwork and tool selection. First up, context. I’ve harped on and on about this here already so I’m not going to dig too deep on this aspect. The crux of the matter is this: just because elite soldiers use certain techniques during their missions, that doesn’t mean you should use them for civilian self-defense. The context in which these techniques are applicable are completely different from your daily life: military operations have rules of engagement and operational parameters that vary from one mission to the next. A civilian self-defense situation however has to be resolved following the law. Look up the self-defense laws of your own country for the details, but civilian law is generally pretty clear in that you need specific components to be present before you can use lethal force or any force at all for that matter. The goal is also completely different. A soldier has to complete his mission, whatever the objectives may be. Generally speaking, this means running away isn’t an option. But as a civilian, this is usually the best option for you as far as the law is concerned: if you have a means to escape, you should use it. Look up “preclusion” and consider how it applies to you but not to a Navy SEAL who has to take out a target. If your mission as a civilian (escape and be safe) is not the same as that Seal (take out the target), then why would you use the exact same tools? It doesn’t make sense. Second is teamwork. A while ago another friend of mine (former special forces and extremely experienced soldier) made a bunch of people arguing about self-defense go quiet. The point he made illustrates the fundamental difference between civilians and soldiers: soldiers don’t fight alone. I was going to write “never fight alone” but that’s not 100% accurate, even though it’s probably pretty damn close. They are surprised by an enemy at close quarters. Their weapon malfunctions and there is no time deploy a secondary weapon. In all of the above scenarios, something happened that prevented them from using their tool of choice: a high-performance firearm. That’s their primary weapon for the simple reason that it outperforms hand-to-hand combat techniques in all possible ways except for non-lethal objectives (and even then…) But non-lethal results are much less a concern for them (see rules of engagement) than they are for you as a civilian. So why would they choose a tool (hand-to-hand combat techniques) that offers inferior performance and reliability over another (firearms) that is readily available to them? You might argue that they use hand-to-hand techniques for other goals and you’d be right. But when exactly does a civilian need for instance sentry removal techniques for self-defense? When you read those book and video advertisements, the ad copy suggest you get the authentic combat system as taught to that particular elite unit. If you think about it in light of what I wrote here above, that should strike you as strange. Why would a civilian learn techniques that were never meant to be used outside of a military context? To illustrate this context, take a look a this video featuring W.E. 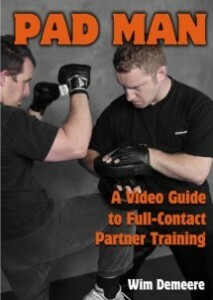 Fairbairn, who is one of the fathers of modern combatives. It’s simply a matter of killed or be killed. The student is taught the gentle art of murder. 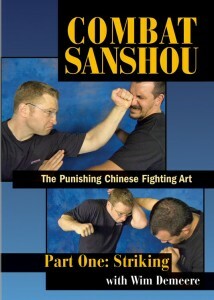 The technique of killing or crippling his opponent with his two hands, at close quarters. As a civilian, you are only allowed to use lethal force under very specific circumstances, as I explained above. If your first instinct in a self-defense situation is to cripple or kill your aggressor, get ready to spend time in jail. That said: is lethal force sometimes necessary? Yes, of course. Would military hand-to-hand combat systems be useful then? Yes they would, they work real well for that. So why not use them? Because the vast majority of self-defense situations do not require lethal force. If you get in a shoving contest with some idiot you bumped into, you can’t just break his neck. If some idiot cuts you off in traffic over a perceived sleight and slaps you in the face, you can’t crush his trachea. Lethal force is not justified in those cases, so using it would be murder. Which is exactly what those combatives techniques are for, remember? Many (but not all) instructors do realize this and water down what they teach. Some do so because they understand the difference between civilian and military contexts. Others do so because they don’t want to get sued by the relatives of somebody who gets killed by his student. So they teach “SAS-light” combatives instead of the original system. The most effective techniques are taken out or are changed to make them less lethal,adapting them to civilian needs. Then the curriculum is spread out over time to make sure you come back for more. 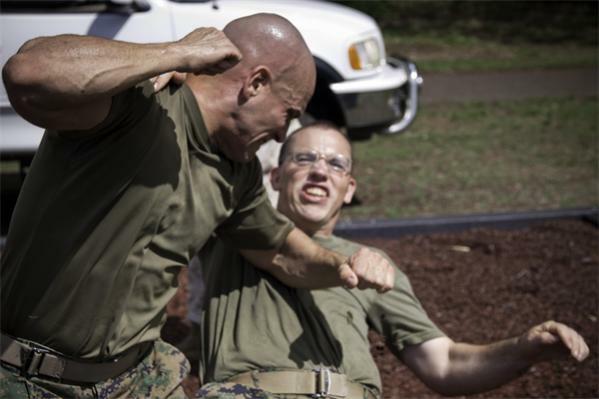 But are you still learning an authentic military combatives system? How would you know as that’s classified information? Another aspect of this is how the military sometimes uses outside experts for its training needs. These experts have certain skills the military finds interesting and valuable so they get invited to teach those special units. So in a literal sense, that expert can then claim his system is used by that elite unit. And he’d be right in claiming so. The issue with that is that he’s rarely the only one who gets invited. Other experts get invited too and can make the same claim, so which system is that elite unit using then during its missions? Probably a blend of all the pieces they liked and tested, along with modifications they figured out themselves. But once again, that specific information is usually classified so who knows? Let me repeat that I have absolutely nothing against military hand-to-hand combat systems. They are great and work impressively well for their intended goal. It just strikes me as wrong to think these systems can be transposed from a war zone into daily civilian life without problems. My answer: to come home safe and sound to my family every day. 2) Which tools do you need for your mission? My answer: a mix of awareness, avoidance, evasion, de-escalation, non-lethal techniques and a small fraction of lethal ones. Do not abandon the mission. Do not abandon the mission, even if you have the coolest tools to do so. Military combatives systems are cool tools. They absolutely work to take out an attacker. But if you want to use them for self-defense, you need to adapt them to the civilian context so they are in accordance with civilian law and not military law. These two are not the same and the differences are just as important as the similarities. That’s the whole point I tried to make in this article. An excellent illustration of this is an older movie called The Siege. It shows how the clash between civilian law enforcement and the military way can go terribly wrong. It’s also eerily prophetic if you know this movie came out years before 9/11. Anyway, listen to what Bruce Willis says in the first few seconds of this trailer. There is no better illustration than that to describe the issues I tried to explain here. The Close-Combat Files Of Col. Rex Applegate by Col Rex Applegate. 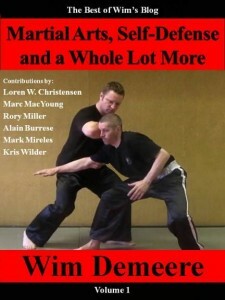 An old classic with lots of general information on armed and unarmed military combat. Kill Or Get Killed by Col Rex Applegate. Another classic text. I like this one a bit better than the previous title. U.S. Army Hand-to-Hand Combat Handbook An older Army manual. 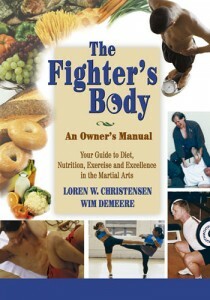 It features the curriculum that incorporated the BJJ and MMA influences that have now been discarded. There’s a lot more in it than ground fighting, of course. U.S. Marines Close-quarter Combat Manual Another manual, one that predates the previous. 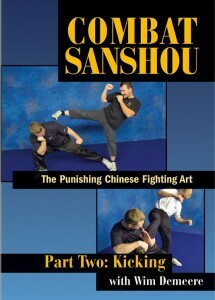 This curriculum is much closer to the original WWII combatives and doesn’t have the BJJ influences. Scientific Self-defense by Capt. W.E. Fairbairn. One of the pioneers of hand-to-hand combat. A basic, no-nonsense book with a full curriculum. It’s pretty old and some topics are a bit dated but the techniques are more than relevant enough for today. All-in Fighting by Capt. W.E. Fairbairn. Another classic text by Fairbairn. This one has the typical WWII drawings of enemy soldiers in the illustrations and the mindset of that era. Simple, clear and no-nonsense. It won’t win any Pulitzer prizes though, so if you want epic prose, this book isn’t the one for you. If you want good instruction, it is. UPDATE: My response to a vocal critic of this article. 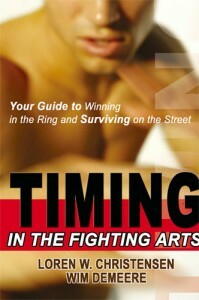 As we’re seeing with MMA, it’s clear that conditioning plays a huge role in effectiveness. I wonder if part of the allure for the public is the idea of being “military fit.” Also, while they might not train combatives, how much physical exercise does the average soldier put in a week? I don’t know, but if they’re running miles a day, that would be something to note to those who would purchase a training system. Could be that that’s part of the appeal. As for how much PT they have, I guess it depends on which unit the soldier’s in. Like in my friend’s example, he has 2 hours a day. But I’m betting not every soldier has that. GREAT article Wim. Will be passing it around to a few of my friends who will no doubt enjoy it. While I agree with 90% of what you’re saying, it isn’t true that civilian defense systems are never taught to the military and that therefore any claim by a civilian organization to have taught special ops units must be bogus. 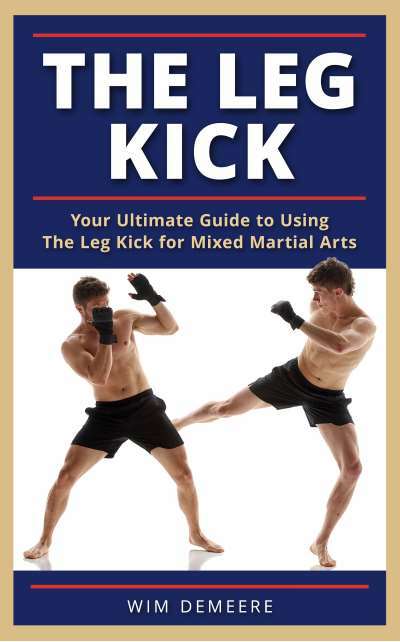 As a concrete example, Paul Vunak, foremost student of Dan Inosanto and a second-generation student of Bruce Lee, was hired to teach his hand-to-hand combat system to U.S. Navy Seals. This is a documented fact and is readily verifiable. He has also trained the FBI and DEA and other law enforcement officers. – In the final paragraph of “The myth of authenticity” I start with “Another aspect of this is how the military sometimes uses outside experts for its training needs.” and explain how that works. I’m also well aware of who Mr. Vunak is. So all in all, I think you misread what I wrote. 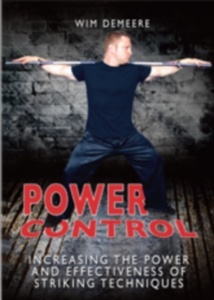 Once again, a very insightful article and a very interesting read for me personally as I am a Systema Instructor and also hold a Senior Instructor Diploma in Practical Tai Chi Chuan (which I think you know a bit about :-) ). I have to say that I also agree with the logic of many of your arguments, in particular those regarding the statistics of the weighting of training time for active military personnel. However, on my training travels, I’ve met numerous professional soldiers, s.w.a.t. guys, undercover police officers and other “professionals” who study Systema because it provides them with solutions to difficulties which they’ve encountered on the field. It’s a murky world, combatives. 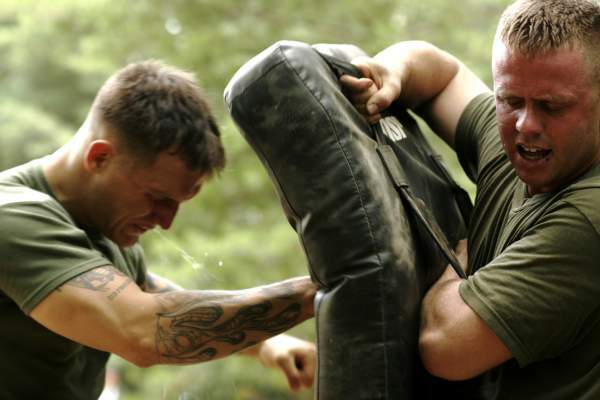 I suppose, in my experience, it depends on the professionalism, mindset and psychological nous of the “Military Combatives” Instructor and what type of role they had to play in their military careers. I would argue that experience in public order, crowd control and dignitary protection is very relevant in helping bridge the gap between combat application and civilian application. Furthermore, like your Special Operative friend, many of these gents develop incredibly strong mindsets which give them great preparation if and when they decide to devote themselves to the study of martial arts. 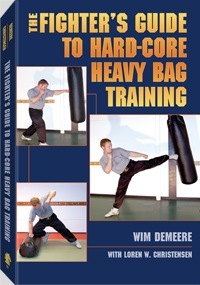 Indeed, some of these guys also specialise in hand to hand, work in personal protection or related fields and make a seamless transition into teaching practical systems perfectly tailored to civilian and professional alike because they, in their way, are the epitomy of a martial artist as they are able to apply exceptional control of an opponent’s physiology with an extremely calm state of mind. This group are in the minority, I agree but they are out there for the discerning pilgrim. Thanks for the article. Good read. I agree and mentioned that too: many soldiers train on their own to improve their H2H skills. Just like many of them train on their own with firearms. But my point was that the military doesn’t give them that training time (they train during their own time) and there are reasons for that. It’s those reasons I wanted to write about. Excellent points made once again. A really enjoyable read Wim. Thanks. Thanks Brad. Happy to hear you liked the article. Great write up Wim, context is king indeed, we give that advice to novices who enter the dojo on the first day. Self defense isn’t just about hand to hand combat it’s also about running away, killing your ego, talking your way out of situation and diffusing tension. All of these are as important as punches and kicks, perhaps more important. Totally in agreement with you Vineet. Thanks for the feedback. The military is like a big ole sword rather than a scalpel…..Trust me Senators you don’t want the military in the streets of the USA. ……time will tell. First, I want to say that I think it’s sad that you’ve gotten so much bile from some commenters in the past that feel you need to place so many softening disclaimers in the start of your posts when all you’re doing is critically examining a system/claim/technique, etc. People who get so easily offended have no place in a debate or discussion….but I digress. What you said about your friend – that you’d bet on him against most any thug because of his mindset, experience, and professionalism – rang especially true to me. Technique matters some, but the older I get the more I see that tells me that it more comes down to the person using the techniques: how they’re trained mentally/physically (conditioning rather than style), what they want when they engage, how accustomed they are to hurting others and being hurt, etc. It’s just a matter of necessity. The military needs people trained to a level proficiency that provides predictable results in a short amount of time. These skills will be routinely upgraded throughout a soldier’s career to make them better via small increments of training. Armies are made up hundreds of thousands of members with a very small, select few gaining any real in-depth, long term training that is continuously expanded. There really isn’t a need for half a million green berets, but half a million combat ready soldiers is usable. This is rings especially true when you look training time. Most elite soldiers will have been in the military 4 to 10 years before joining an elite organization that will require them to spend another 2 to 5 years in training to be considered qualified. Operators are not a bunch of 22 year old single men, most are in their 30’s, with families, and have spent a lot time being trained to get where they are. Most Operators spend more time becoming operators than the average soldier will spend in the military during his entire enlistment. Couldn’t agree more with what you wrote. I do know some exceptions (though from much earlier times), guys who got into elite forces at an early age. but overall, becoming an elite soldier in such a unit is indeed a long process. It is easier to think of it like this; a common soldier from antiquity until the present needed the equivalent of a technical certification to be effective on the battlefield as an army while a true elite soldier has put in 10,000 hours to get to were he is at. that being said, what makes an elite a dangerous fighter is the same thing that drives a martial artist to aspire to high levels of understanding; desire. elite soldiers know that they will have to fight, to kill, and to train constantly to do it very well. And they choose to pursue this end with the tenacity of life long martial artists. 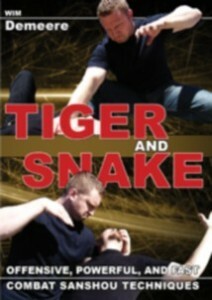 A great lesson for martial artists to take away from elite soldiers is in training. elites adapt their training to let them achieve success under very specific conditions using specialized training models built around core concepts. This is something that should be kept in mind in the martial arts school. Using traditional martial arts to build a core of skills is great, but adapting those skill to suit specific needs in training is important. Most instructors could not only establish a larger, more diversified following and training program but they could also expand their own capabilities by understanding such needs while also providing new cash streams to enhance their income without simply selling ranks or fru-fru class time. I liked this article. I think a big thing that people don’t realize is that, while the system itself is “interesting” the true core of military h2h systems that set them apart from the rest isthe .mentality driving them. Either I kill you or you kill me. It’s not self defense as much as it is full out self preservation. the military establishment has a difficult task before it. It has to take men who have been conditioned through every venue society has to offer that killing is inappropriate at best and will cost your immortal soul, mortal life, or both at worst and train them to go out and kill the enemy in a impersonal, dispassionate manner. the military establishment is also presented with the secondary issue of reintegrating these men back into everyday society once their military service is completed. So, once a man is taught to kill in an impersonal, dispassionate manner how do you de-program this conditioning? military organizations often use melee combat training, unarmed and armed, as a means of instilling a psychological precedent that allows a soldier aggressively engage his enemy in combat. By teaching men to aggressively engage in mortal-fatal at such personal range it is possible or the same soldiers to make a mental connection to aggressive military oriented combat and evaluate it as more with a sense of self defense than offensive action. This allows them to engage the enemy with less inhibition and less psychological trauma. this lessened psychological impact make for fewer cases of post traumatic stress disorder for fighting and possibly killing an opponent. It also makes it easier to reintegrate such a man back into everyday society simply because a significant portion of his combat conditioning was instilled in him in a way that he is able to moralistically approach violent situations with a sense of self preservation or protection of someone else. the problems associated with this is that it is difficult to train large numbers of men with in-depth training to ingrain such a mentality and skillset. Another issue is skill maintenance. Military organizations want a quick to learn system that can be expanded with minimal personnel and expense. most people would think that elite soldiers would receive large amounts of melee training, but most these guys will be able to rationalize there actions. Also most, like many soldiers, have attained such training on their own outside of military channels. I disagree with the concept that “many self defense situations require less than lethal force.” I was taught to keep your hands to yourself unless you need to use serious force. If your life or the life of a loved one is not in immediate danger, you have no right to use physical force of any kind. If you do you will most likely end up in court facing serious charges. Walk away. Call the police. However, if you are in immediate danger from an attacker, you have no obligation whatsoever to “tone down” your actions to minimize the damage you inflict. If someone is drunk and being belligerent at a cocktail party – leave. Call the police if things are getting out of hand. You have no obligation or right to subdue him. If someone unknown to you attempts to strike you, you should use the fastest and most damaging techniques possible. You don’t have time to screw around. He may be armed. He may be extremely dangerous. As a private citizen you are not expected to use a sliding scale “level of force” like a police officer. This is absurd. It is a recipe for getting killed. What, are you going to pinch the bad guy at a pressure point? PUt him in a submission hold? Seriously? He pulls a knife and guts you like a pig. Either do nothing at all because the situation doesn’t merit action, or do everything you can do because lives are at stake. Self defense is all or nothing. If more of us had this attitude people would display lot better manners when interacting with each other. Those who attack others should get what they deserve – serious injury or death. 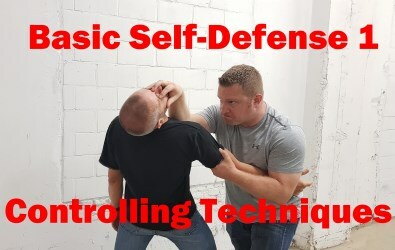 Military techniques can be very effective, since self defense is essentially doing battle on an individual level. Martial means “of or pertaining to war.” Bullshitsu is not going to work. 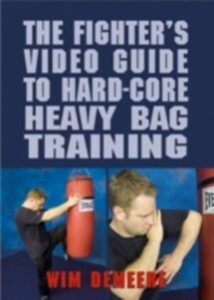 Those methods proven to be effective in hand to hand combat should be the first ones in the toolbox. Some of what you said seems reductio ad absurdum and a straw man argument to me. That said, it’s OK if you disagree with me, but the law usually doesn’t see it your way. You don’t seem to distinguish between the use of deadly and non-deadly force, but the legal system does. I would suggest talking to a criminal defense lawyer specialized in self-defense cases. 11 years military here. Believe me, even 1 hour of physical training a day (meaning mostly cardio) is pushing what troops ordinarily do. As for hand to hand combat, most trades don’t even do it. Other skills might only be done once or twice a year, such as going to the range. Thanks for your input. And I agree, most troops have very little h2h training. It’s not what wannabe warriors want to hear, but that doesn’t make it any less true. Your unwillingness to even ask me for help to explain the equation I mentioned shows your arrogant delusion nor agree to my terms to completely reveal everything that you still haven’t calculated. Every single boxer and kick-boxer I’ve seen, hasn’t progressed identifying miscalculations in the guard and punching that is involved in Marquess of Queensburry rules sport boxing which the kinetic mechanics of modern h2h is based. I’ll exposed all the data explaining the two factors involved for calculating the equation and now you’ll only see and comprehend it after I complete my copyright pending and publish. Thank you very much. I had to scroll a little further down Google.com for the truth. But well worth it. Very humorous while dishing the goods. an excellent article – and all very true. I’d just like to ad another idea about this “military training” used as a marketing argument. IMHO military training is not that complex as civilian selfdefence. With the military its usually young men against young men, who’s training and equippment is pretty similar (military outfit, so to say), as is the purpose of their actions. Civilian selfdefense has a a hell lot of possible “battlegrounds”, reasons for the incident and very different opponents. There is the secretary going home from her job, a child being molested or a senior is held up for money. So many situations, which just can’t be adressed like a military scenario. No idea. I have no information on their training.